Want to make the best career decision you’ve ever made and never look back? If you do, and if you have a desire to do and achieve more, you are going to love a career with Cicis! A Cicis manager has an unequaled passion to serve, they possess a strong commitment to quality and operational excellence, they work hard, and they play hard. If we’ve just described the way you want to do business, then you’ve come to the right place. 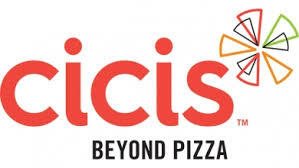 Start a career with Cicis and you’ll never look back! This Franchise owner has developed 6 Managers to become Franchisee’s themselves! Now Hiring Restaurant Managers for our locations in Katy and Fulshear, TX! If you prefer to apply via text messaging, please send code 29951 to phone number (713) 568-9584. 2. Do you have experience with banking and cash handling? 3. Do you have experience with guest relations and managing guests concerns? 4. Have you had at least 1 year of shift management experience in the restaurant industry within the last 3 years? 5. Do you have fast casual or fast food shift management experience? 6. Do you experience training new team members? 7. Do you experience with food Inventory? 8. What has been your greatest achievement or source of pride to this point in your life? 9. What is the biggest influencer that has brought you to seeking employment with Cicis as a corporate manager? Ie. Compensation, Quality of life, Flexible hours, Benefits, Opportunity or other? 10. What did you like most about your most recent job or position?